I have now been a personal finance enthusiast for over a year if I take into account from the time I started preparing to become a Certified Financial Planner. One of the concepts that popped up a lot and resonated with me was the idea of paycheck to paycheck mentality and how it ends up hurting us. 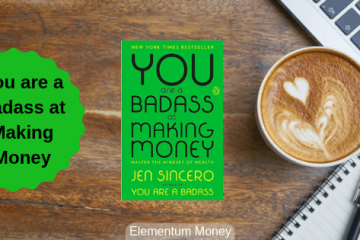 My first brush with it was one of my favorite money mindset books – Rich Dad Poor Dad. That’s the first time I realised the perils of working paycheck to paycheck and how it could be more of a mindset that the numbers falling short every month. 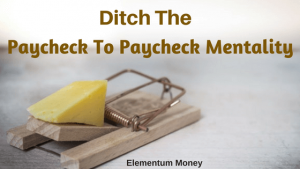 What is paycheck to paycheck mentality? Picture this: There is a regular guy named Joe. Joe works for a company that pays him a monthly salary, which gets transferred to his bank account, mostly on the last day of the preceding month. He has three loans with monthly installments – Home Loan, Car Loan and a Personal Loan taken to furnish his new home when he moved in. On the fifth of every month, all three of his EMIs get deducted from his account. By the fifth of the month, any other bills, be it electricity, water or children’s school fees are also deducted. The rest of the salary is treated as pocket money by Joe and used mostly to just fit in – so he uses it to buy new clothes, to go out with friends, to travel every weekend and other things as the mood deems fit. By the 25th of the month, he is nearly wiped, looking forlorn and desperately waiting for the salary credit. He is indulging in a bragging match with his friends as to who has lesser money left in the bank account. He is always anxious at work to ensure how to get a better bonus and increment because clearly, he needs more money. He falls short of it every month. He does everything possible to keep stakeholders happy knowing just how important to his survival his job is. 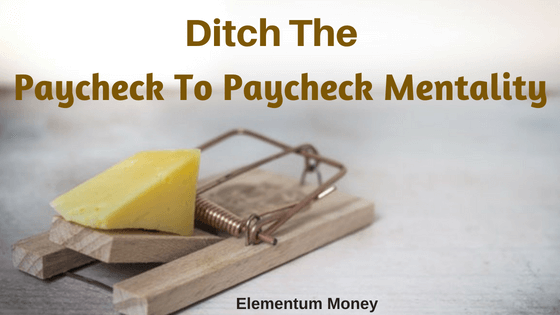 Why is paycheck to paycheck mentality a problem? You might be thinking that this is the new normal. While our parents’ generation was better at saving, we don’t need to go through the trouble. The minute we have such a problem, we can easily avail of credit through innovative solutions like a payday loan, which can tide us over, right? Wrong. Today, layoffs are not entirely uncommon even in India. Ever wondered, what will happen if you were laid off? Okay, let’s look at another scenario. Your boss is a nightmare and you don’t feel you can survive one additional day working with him or her. You have tried everything else to work within the same organization like a team change and even complaining to HR. Can you leave the job giving due importance to your health and sanity? No. At the smallest sign of an unplanned expense, you will be scrambling around to get it sorted. Before my Personal Finance enlightenment, about two years back, I was filing my taxes. That was the year when I had switched over to my current job, so I had two employers. Turns out both of them had deducted a lesser bracket of tax, because while my cumulative salary was higher, the two employers individually were paying me lesser. So, I was liable to pay quite a huge amount as tax. That year I also did not get a bonus from either employer. That was a painful process. I still remember the feeling of not knowing how to pay up that money. Most of us living paycheck to paycheck, end up spending money in a haze. It seems like the salary got credited and then the road runner invades our bank account leaving it empty in it’s wake and we are left looking ahead to the next salary. Money is a tool. We can either use it to make our dream lives come true or live like zombies around it in auto mode. Living paycheck to paycheck means choosing the latter. While it sounds impossible, breaking the paycheck to paycheck habit is possible. On any salary. Some of the steps below will help you take baby steps towards it. I myself am an addict, still on the path to recovery and these steps are all from personal experience. The first thing you can start with easily is ensure that you are saving. Make saving automatic by paying yourself first. This ensures that you at least manage some saving before spending it all. Make it better by using some of the money to invest so that with time, it grows to outpace inflation. I cannot stress the importance of tracking your expenses. Most of us assume we know where we are spending our money. We don’t. I often discuss my blog at work and a few of my colleagues even read it, leading to interesting conversations (yeah, I am lucky that way). The other day one of my colleagues told me how tracking their expenses, she and her husband realised how they were spending far more than imagined on eating out and drinking. Start tracking your spends and chances are you will be surprised. 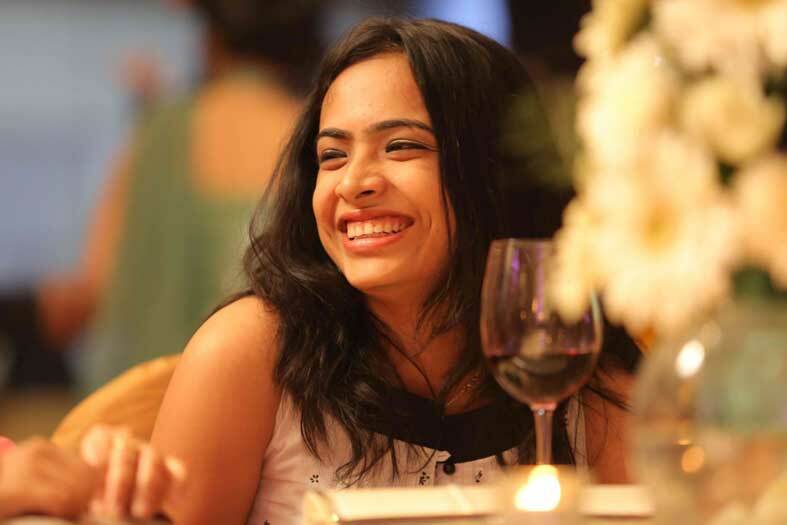 Personally, I have become much more frugal since the time I have started tracking it. Money is a complex phenomenon. We love it, we hate it, it makes the world go round. However, in our own lives, it can get downright messy. First up, ask yourself – what does money mean to you? If you are able to come up with one answer that deeply resonates with you, makes your heart sing, it could change the course of your life. For some people it’s about a means to travel. For some, it’s about giving their families a good life. What is it to you? Instant gratification is the human tendency to go for the next shiny thing and want it instantly. For instance, if asked to choose between $100 now and $200 six months down the line, most people will choose the instant option. This urge for instant gratification is in us from an early age. If you haven’t already, then the marshmallow test is a fun yet enlightening watch of the mental battle these kids fight to tamp down on the urge. Instant gratification is what makes us pull out our card or bring up Amazon on the phone the minute the thought of a new purchase strikes. Try and give yourself time before buying a new thing that just popped up in your head. This post on delaying instant gratification is quite useful. Today, the world can be neatly divided into two money mentalities – paycheck to paycheck and net worth focussed. 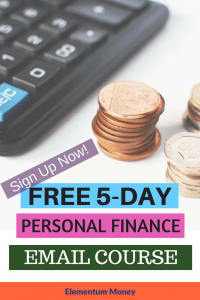 In the personal finance blogosphere, there are a lot of bloggers using the platform and the audience as their accountability partner as they publicly track their net worth. There are many benefits to this switch and it is a long term solution. Check out some ways you can gradually make this shift in mentality. The first sign is to understand that this paycheck to paycheck mentality is not the right path. A lot of us remain in denial, considering this is what the majority around us indulges in. However, once you identify it as a trap, the light is not too far.